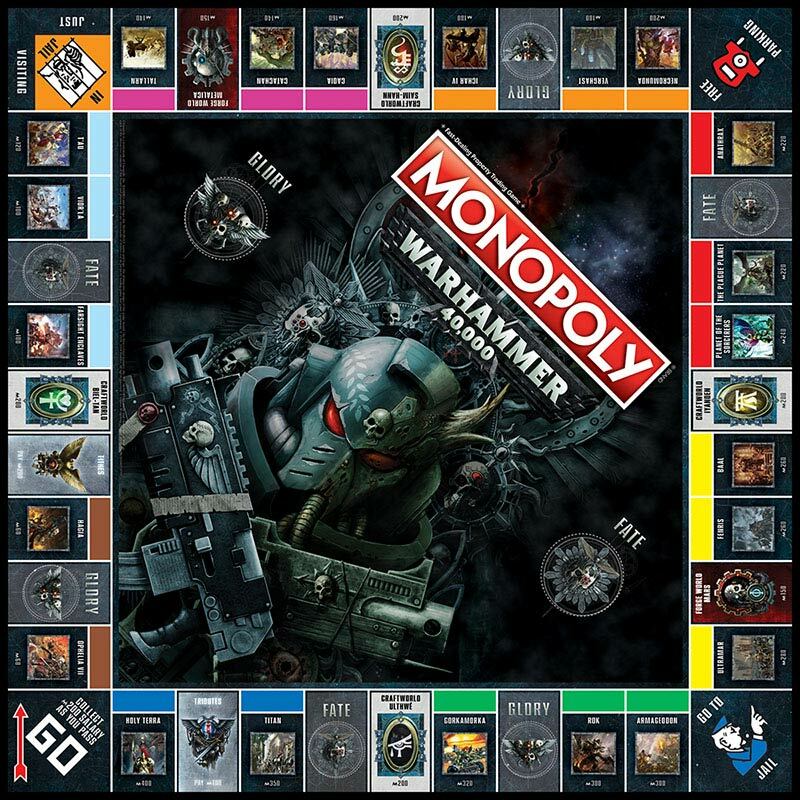 Monopoly and Warhammer 40,000 are joining forces and somehow it makes too much sense. 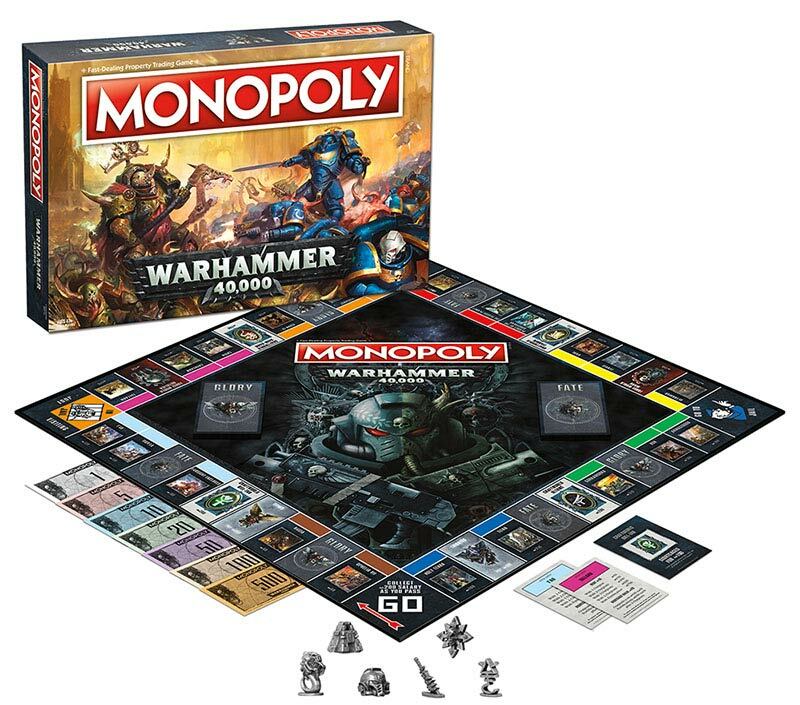 We’ve known that 40k and Monopoly were crossing streams and that it was going to be a thing – well it’s now officially out in the US! But part of me has always wondered two things: How did this happen and does this even make any sense from a branding perspective? And while I’d love to have been a fly on the wall in the meeting that answers the first part, I’ll probably never know. But the second part…yeah, I think it does fit. Let’s chat about why. Now you might be thinking “that doesn’t really sound like 40k at all. 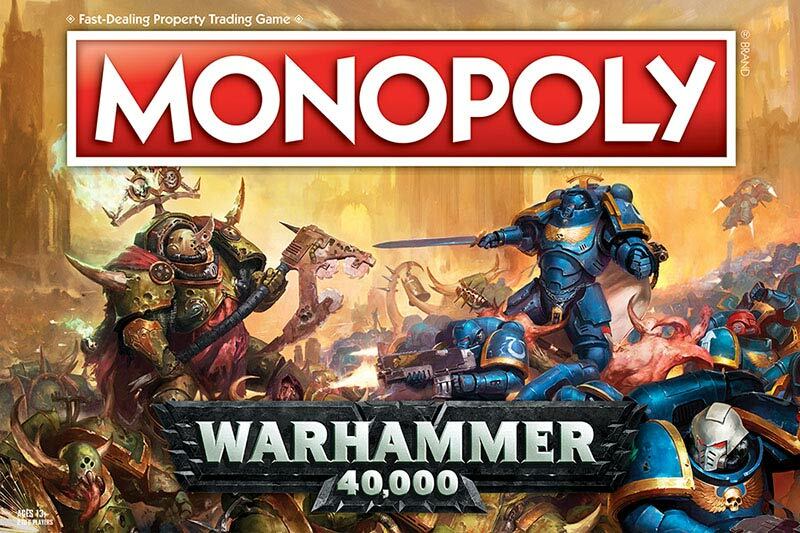 40k is GRIMDARK, baby! Where’s that at! ?” To that I would ask have you ever actually finished a game of Monopoly? I have. It’s BRUTAL. Landing on that last location and having to pay rent is excruciating! The feeling of dread as you roll the die. The hopelessness as you move your pawn over the squares that might have provided you with some sense of safety. The sheer terror when you realize you’ve landed on your brother’s most stacked location with 4 hotels. And darkness that sets in as are forced to give him all your money and assets. And the gloating…oh the gloating. NO I DON’T WANT TO PLAY AGAIN AND YOU CAN’T MAKE ME!!! Anyways, Monopoly is a game where you drive folks to bankruptcy. Sure, you’re not blowing them up or taking skulls, but you might be doing something far worse when you think about it – you’re ruining them financially. That’s almost like revenge plot of a movie. And if we haven’t even talked about jail time yet. I’ll be honest, too – I’m a little disappointed that the 4 corner spots didn’t get revamped in the re-skinning of this game. The “Go To Jail” could have been a “HERESY!” joke and had a Adeptus Arbite or an Inquisitor there. And the Jail Cell could have been the Golden Throne some kind of eternal prison thing. But the rest of the board has been re-skinned appropriately and I kind of dig the 6 pawns they chose. Although it’s funny to see a Necron Monolith smaller than a Tyranid Ripper. Monopoly: The Grimdarkest of all board games. Bringer of ruin and suffering like no other. And now, not even the Emperor protects from paying the rent.